MARTIN M. SHENKMAN is an attorney in private practice in Paramus, New Jersey and New York City. His practice concentrates on estate and tax planning, planning for closely held businesses, and estate administration. Mr. Shenkman authored 42 books and more than 900 articles. He is an Editorial Board Member of Trusts & Estates Magazine and the Matrimonial Strategist, and has previously served on the editorial board of several other tax, estate and real estate publications. He is a frequent source for numerous national publications, and has made guest expert appearances on major financial and other television and radio shows. Mr. Shenkman is active in many charitable causes. He has written books for the Michael J. Fox Foundation for Parkinson’s Research, the National Multiple Sclerosis Society, and the COPD Foundation. He has presented more than 70 lectures around the country on this topic for professional organizations, charities and others. 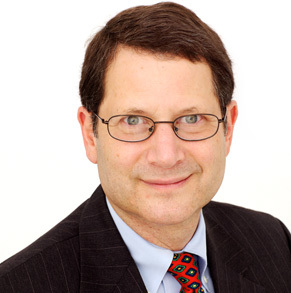 Mr. Shenkman received his BS degree from Wharton School, with a concentration in accounting and economics, his MBA from the University of Michigan, with a concentration in tax and finance, and his law degree from Fordham University School of Law. Mr. Shenkman is admitted to the bar in New York, New Jersey, and Washington, D.C. He is a CPA in New Jersey, Michigan, and New York and a Registered Investment Adviser in New York and New Jersey.